Do you Live in the West Midlands – Areas like Aldridge, Bloxwich, Lichfield, Sutton Coldfield, Walsall, anywhere in the West Midlands? 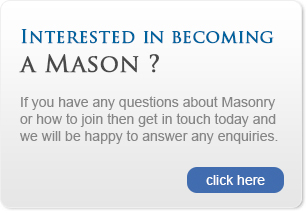 A Simple phone call or email will get you in touch with a lodge with over a 170 years of history and provide a new and exciting direction in your life. Come and learn about the freemasonry in today’s society. ‘At St Matthew we are family, a warm and friendly lodge,where we enjoy our Freemasonry. We welcome you for the first time or a brother visiting again. We look forward to seeing you soon’. A Warm ‘St Matthew Welcome’ to the Lodge of St Matthew No.539, an insight in to one of oldest Freemasons lodges in the province of Staffordshire. Our Worshipful Master, W. Bro. Keith Conway, the Past Masters, Office-Bearers and Brethren of Lodge St. Matthew No.539, welcome you to our website. Here we hope to keep our members and visitors up to date with our masonic and social activities. We also hope that it will give non-members an opportunity to see what we are doing in the local community and provide them with further information should they wish to join our fraternity. If you wish to contact us for any reason please use the contact form on the “Contact Us” page. Our New Initiate – The Lodge of St Matthew No.539 Welcomes Kirk Andrews.